"The bill has been taken hostage to Bankova's deliberate dillydallying." The secretary of the Verkhovna Rada Committee on Environmental Policy, Ostap Yednak, accuses the Presidential Administration of sabotaging the bill on environmental impact assessment. 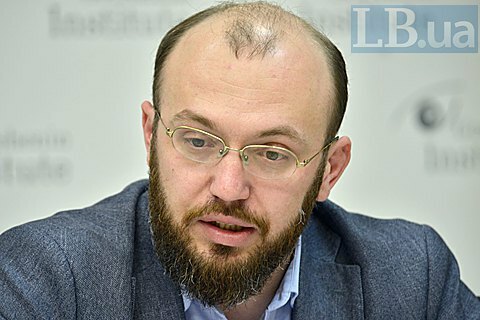 During the 11 April round table conference organized by Institute Gorshenin and the Reanimation Package of Reforms the lawmaker reminded that the bill was vetoed in October 2016. In January, the parliament considered the proposals of the President and returned the bill for revision to the environmental committee, where the legislation was blocked by representatives of the presidential faction. Yednak says that the Presidential Administration spares no efforts to cram their suggestions and amendments into this bill. PPB deputies are pretty straightforward, he says: either the bill will be adopted in such a wording or he will not be adopted at all. "Apparently, we got a new subject of legislative initiative, named the Presidential Administration," complained Yednak. "The bill has in fact become a hostage to deliberate dillydallying on the part of the Presidential Administration and the pro-presidential faction Bloc Petro Poroshenko," the lawmaker said. "The bill became a hostage of falsification," he concluded. The bill on the assessment of environmental impact should regulate the relationship of businesses and government agencies in the field of ecology.